Leading international sports platform (multi-lingual). HQ in Ireland. Over 2m sports enthusiasts rely on Sportlomo. Our Game & Competition Management is the best in the industry (humble..not). Online registration, live scoring, scheduling, tournaments, team rosters, game/player stats, discipline/injury. 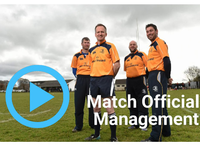 Referee/Umpire/Officials Management is also a speciality. Award winning websites. Simple to use, highly automated so you dont need to be sitting in front of a PC managing your games all weekend! 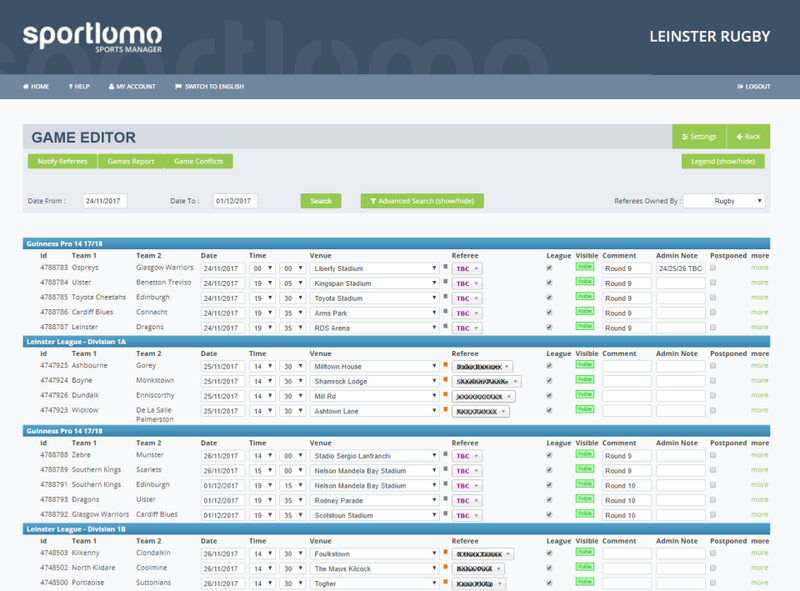 Pros: I work in the IT Sector and I have to say that Sportlomo is very easy to use software for the Sports Club St Finians GAA Club which I am Public Relations Officer of. The software is also very user friendly for the person who covers my role when I'm on holidays and who is a non IT person which makes the software very seamless for those using it. 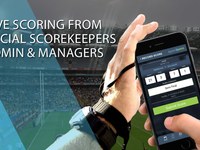 Sportsmanager, the Irish Sportlomo Software Agent are an absolute pleasure to deal with in carrying out change requests which are implemented in a very timely and efficient manner (within an hour of Sportsmanager receiving them for simple requests). Last year, our Sports club upgraded its website to a mobile responsive solution and there was a very seamless migration to the new website with no downtime. the customer representative and her team in Sportsmanager made the task of upgrading our website very easy and put me at ease in my dealings with them as the officer responsible for the website upgrade. What I further like about the software is that content on the new website is updated in exactly the same way as the old website therefore eliminating the need for retraining of those using it. We are absolutely delighted with our new website and I have been contacted by other sports clubs enquiring about how they can acquire a similar website solution. 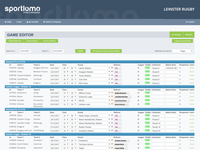 I have no hesitation in recommending Sportlomo as a website solution for Sports Clubs globally and also the Irish Software Agent Sportsmanager for Sports Clubs in Ireland. Cons: There is nothing that I don't like about using this software. Maybe if I could suggest of having the option to add more than one photo at a time for each news story. Pros: Integrates a number of the elements and systems key to delivering a smooth sporting programme. 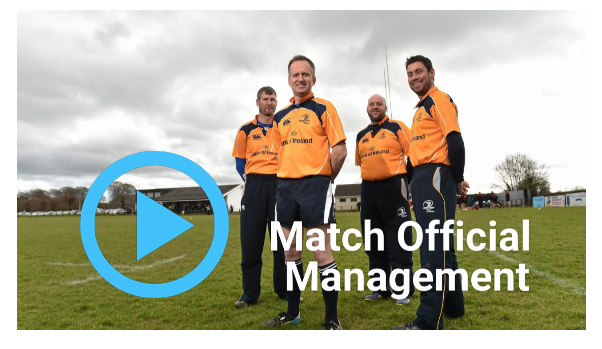 From league tables to referee assignments and discipline reports. All linked together to create a one stop shop. It also takes a large amount of the admin and more importantly the double checking of details away from the administrators and puts it in the hands of the people it is really there for the Clubs. Cons: Some elements have carried bugs and there was a period as they joined elements together where the time between flagged problems and/or requests were long and with limited communication. however, they have really turn things around and support is quick and communication much better. Some elements are still complex to use or long winded but they are continually improving the usability of the product for users and administrators alike. Overall: Saved time, cut down errors, reduced the need for duplication of information and made more processes paperless. Allowed me to communicate with a large number users, clubs, press and spectators (fixtures/results), players and Officials. The officials were able to submit reports and also were informed of their games via text and e-mail based on electronically submitted availability. This allowed quick and straight forward reporting of data, key to streamlining processes. Relatively happy with the software and my experience working with SportLoMo. Pros: I do the majority of my work on the competition management side of the system. I enjoy how easy it is to create and edit competitions and organize officials for fixtures. I also administer Team Sheets for my organization and the reporting system for team sheets is fantastic. It is really easy to get a high level view of which clubs are following our processes correctly. 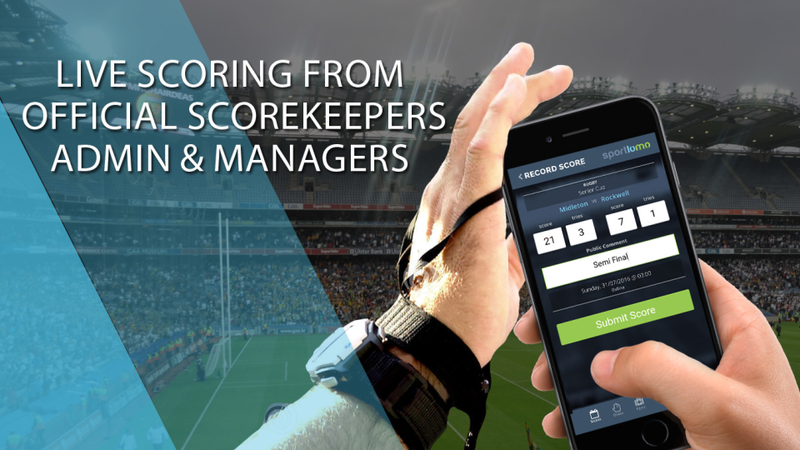 As a referee, its super easy to update scores and to view my fixtures through my dashboard. As an administer, its fantastic to not have to chase down scores the week after a competition has happened. Cons: There are some functions in the system that I would like to see adopted to make the lives of rugby administers easier. I do not like how you cannot sort for Age Grade or by registration date when you go to fill out a panel on team sheet editor. This makes it very difficult for clubs with hundreds of athletes to find the 30 athletes they want on their panel. The "ctrl+f" feature is not really useful as most of our clubs do not use this feature. I find the "All Competitions" page on our website to be very cluttered and confusing at times. It would be great if we could add in page breaks to separate competitions based on the competition level. Overall: Far easier to manage competitions and fixture appointing form an admin perspective. Team sheets are clean and easy to review. I will arrange for someone to contact you to help improve navigation. We can use different criteria to sort / order the data to make it easier for users. Will get someone to contact you to go through how this is set up this week. Sportlomo is a great system. I find it very user friendly and appreciate the functionalities. Pros: The things that I like most about SportLomo, is the number of different functionalities within the system. 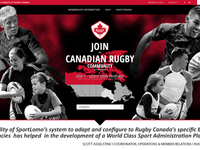 Compared to other software systems Rugby Ontario has used in the past, SportLomo allows for a wide variety of functionalities (i.e. reporting, club set-up, custom fields, events, discount codes, upgrades, transfers, refunds, dual membership etc.) The SportLomo staff are also very innovative and are constantly working to build even more functionalities into the system to meet our organization's complicated and unique needs. The SportLomo staff are also very responsive and work quickly to resolve any technical issues if they arise. Cons: Our members who use the system, do not always have access to credit cards, therefore I do not like how the system does not accept debit. It would also be helpful to filter Game sheet panels by age grade to allow for coaches to locate their members faster when creating team sheets. Overall: The amount of autonomy in the system for our clubs is a huge benefit for our organization. It has been very beneficial to our organizations to be able to give club's their own control over the set-up and management of their club registration pages. Pros: The software is user friendly and easily teachable. We work with over 50 clubs so shortening the time it takes to explain something new is key to reducing administration times. The support staff are constantly on hand to help us out with whatever we need and even our many upgrade requests are always accommodated. Cons: The only disadvantage to using the software is the time difference between our organisation in Canada and the head office in Ireland if something needs to be done urgently. However, they try their best to work outside office hours to accommodate our meeting requests. Thank you for your very encouraging review. Our team are chuffed...... We hope we can continue to meet your expectations. Pros: Makes competitions easy to run effectively. Great selection of reports which help to keep competing teams fully up to date on how their team are doing. Link up with the website raises the profile of the competitions & the wide range we put on each season. The stats produced give a very accurate reading of the amount of activity at each of the age grades. Reporting the stats further increases the profile. Cons: The software has very little faults although I would like to see date of birth & school attended being included on the e-teamsheets. Addition of configurable competition parameters would also be a useful addition. Currently we don't store DOB for your organisation, which is why we cannot display it on the e-team sheet. We can review this and if this data is stored with the player data, we can make it available to administrators when signed in securely to the admin side of the system. I will bring it up at our next meeting. I find SportLoMo very helpful & always at the end of the phone or email whenever I need them. Pros: I love the way our website looks, it is very easy on the eye & looks very bright. We get a lot of positive feedback from our members. It is easy to maneuver around from an administrator. We have our membership registration on it along with our Lotto. We have it linked to our Facebook @ Twitter pages also. We use it for Club information and match reports & photos. SportLoMo are a great company to deal, very helpful & friendly. Nothing is ever a problem. Customer service is second to none. I would highly recommended them to any Club. Cons: I would like to be able to load up a number of photos at the same time, instead of loading them up individually. Hi Lorraine, thanks for your kind words. We think the option to put a caption on each photo is slowing the process of our multi-photo upload. This will be brought up at our next meeting. Thanks for the feedback from all the SLM team. Pros: Ease of use. It takes a lot of the hassle out of planning fixture and collating results. Cons: Any particular problems that we have with the software we ask the company to investigate a solution and this happens. So no real cons. Overall: We have used this product for over ten years and have been part of the evolution of the software. It has taken the grind out of doing repetitive work on fixtures and results. The SMS results to website functions means results and tables are updated regularly with little or no input from me. Recommendations to other buyers: If the software needs to be adapted to the particular needs of your organisation ask the company for a solution. We have over the years had many small additions that have made life much easier. This is an excellent system, easy use and in real time. Cons: If I have any complaints its we as an orgisation do not make full use of the system, as stated above the fauots I find is with us as an orginsation and not necessarly with sports manager. Overall: This is an excellent system for managing fixtures, and especially results and league tables. Generally a positive experience with company and find the tools useful. Pros: Developers are very responsive and try to find solutions that fit our organisation. The link between the membership functions and the league management functions works well. The flexibility is continually being added into the system. Basic functionalities are straight forward. Cons: There is still a lot of repetitive tasks that need to be be done--ie setting up basic notification for clubs it starts with a blank state and you have to set up each individual type of notification with recipient and message. rather than have a default message you can edit. Administrator user accounts are still clunky and limited. We have taken note of the suggestion to set up default templates for the email notifications. This is a good suggestion, we will take it on board and set up default templates for users. Pros: I like the menu driven format that makes it easy to navigate through the editing and uploading of information. On occasions where we have requested new features and additions, like for example the ability to add youtube clips to our site. The work was carried out quickly and without fuss. It's also quiet easy to link news stories etc. with the various social media platforms. After just 2 years almost 70% of our membership is now done online through our website and it also serves to host our club shop and lotto draws. Cons: The only area in my opinion that would need a little tweaking is the uploading of photographs. I think this could be a little more streamlined. Submission of results have meant that accurate league tables and scores are appearing on our website much quicker, thus being much more "live". Cons: At times addressing issues can take longer that expected. Sometimes changes are made to the system which we are not informed about. We will review how we make people aware of changes and updates to the software - good suggestion! We have used this software for 12 years and the systems we wanted were tailormade for our needs. Pros: It is easy to use and the back up support, no matter when, is exceptional. The vast majority of our games are on weekends and if there is a problem it's normally dealt with swiftly once reported. Cons: Very little to dislike about this software. 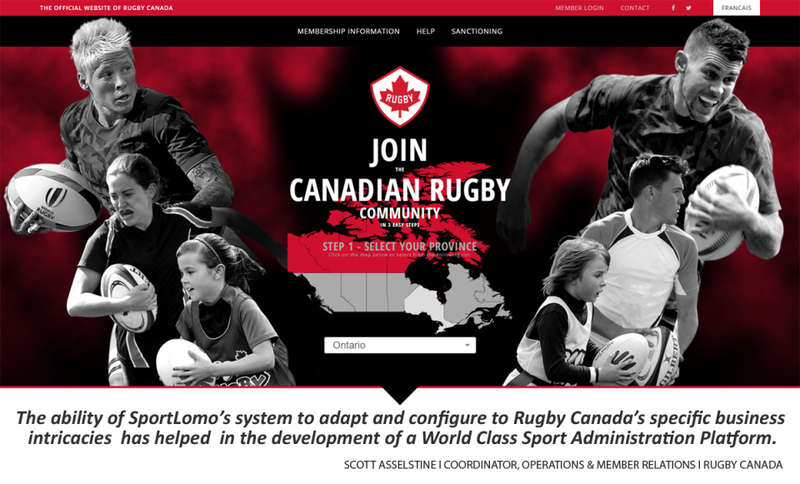 We were involved with SportLoMo when they started developing computer programmes for rugby so all problems were ironed out as the software was developed. 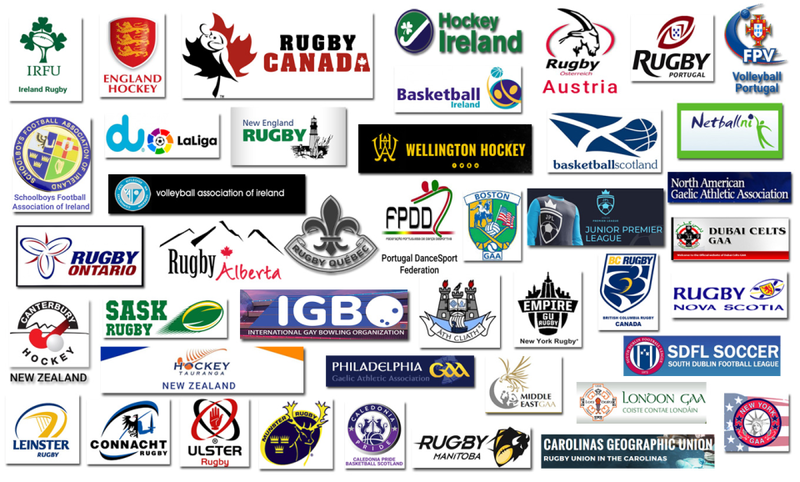 Overall: The SportLoMo software is extremely important to us in the efficient running of our many competitions in Leinster Rugby. Pros: The back end is well laid out and easy to use. The texting system is very useful. The sheer scope of the back end is great. Cons: At times it can be difficult to actually find what you're looking for. A search engine wouldn't go astray but at the same time it's great that there's so much you can do on the back end. Hi Ciarán, Avondhu GAA are a great club so it means a lot to get a good review from you. I will bring up the search engine suggestion to our guys. Thanks from the team for your kind comments. Pros: The customer support provided by SportsLoMo is second to none. This aligned with the ease to use of the software combines to add to the value of the product. Cons: We would currently have no negative issues. Any issue we may have had in the past was always very quickly responded to and solved to our complete satisfaction. Great review from a great Club! Thanks Mitchels, much appreciated! Regards, the Sportlomo team. A great client, always a pleasure to deal with. Thanks John for a great review. Sportlomo team. Pros: What I like most about the software that It is easy to use and excellent to work especially for those who would have limited software training. Professioanal, friendly & efficient staff. Highly recommended. Pros: Simple to use. Quick access and easy to update website. Keeps our supporters updated with the click of a button. Potential to attract many sponsors due to Great layout. Great follow up support. Cons: There is nothing not to like about the software. Very easy to use and support is easy accessible. Hi Peter, thanks for your kind words. Much appreciated! The sportlomo team. Pros: Easy to use and update on a daily basis. I can link it to Facebook and Twitter. The fixtures update themselves for games etc. by themselves so it's so much less work for me to do! Pros: The customer support is excellent. Any assistance I need is always available at a moments notice. The software is easy to use and improvements are constantly being made. Overall: We use the system to manage our fixtures here in Connacht. The system is always reliable and support is always on hand when needed. Hi Richard, thanks for your very kind comments - very encouraging for our team. Much appreciated! Thanks Judith for a great review! SportLoMo has been incredible, from the software to the customer support. Pros: The software is user friendly and logical. The customer support is truly what sets LoMo apart from the rest. They are prompt, efficient and incredibly willing to make even the craziest requests a reality. Cons: The mobile 'friendliness' is a work in progress, but it is progressing, we are looking forward to what the future brings. Hi Janice, the team here are very chuffed with your very complimentary review. 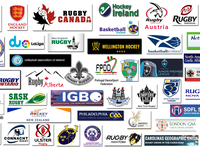 Rugby Canada is very important to us. The SportLoMo team. Overall: Using the online membership has allowed our club to gather monies easily and quicker. Anyone can login and register and pay their membership online through the website. Everything is done under the one roof. Hi Jon, thanks for your great feedback. Its always encouraging for our team to hear how our software is beneficial to our clubs. Much appreciated! Comments: It has been a good experience, any tweaks required were dealt with expeditiously and without fuss. User friendly software although might require a user manual for a 'new user'. Thanks Kevin for the review. We are working on improving our manuals and video training units. Very happy with our website & live feed . Allows us to update Members on a weekly basis. Pros: User friendly System, Easy to use. Excellent Support Team. Any issues are dealt with promptly and without delay. Very happy with the service we have received to date. Cons: Nothing so far for us. Very happy with the service we have received, Support Staff have been excellent. The customer support is always available if needed. Overall: Easy to Use, the customer support is easy to access and update. Allows us to keep our members up to date with latest news. The live feed of fixtures, league tables and results is an excellent service. Its automated so we dont even need to update it. Its done for us!! Cons: Adding news data manually can be a little laborious and slow but Alex helps us out big time!! Recommendations to other buyers: Perhaps inservice for those of us who would benefit from a hands on session and face to face contact/interaction We could then be less demanding of the support staff!! Thanks Donal for your nice review. Alex is always ready to help in anyway he can. Thanks from the Sportlomo team. Cons: I'm hoping we can find a way to integrate the historic mountain biking league results and management from this season with other sports we have struggled so far. Pros: Has online registration which is a plus for my rugby club. Our league runs on this software. Cons: Poor interface, prefer TeamSnap to be honest. Comments: So far excellent easy to follow and I would recommend to all company's and sporting clubs and society.